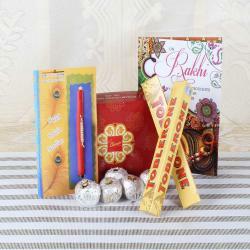 Gifts play a major role in the Raksha Bandhan celebration, so you have to choose a delightful gift for the occasion. 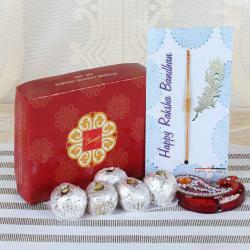 Bring in Raksha Bandhan with sweet delights that will sweeten your beloved one’s day and mood. 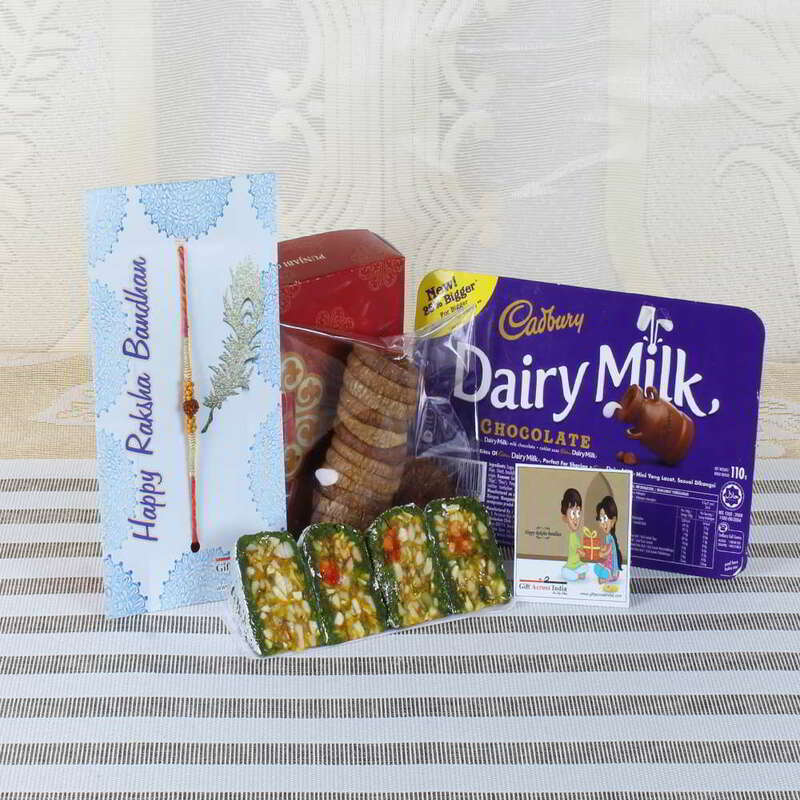 Gift all your excitement to your loving brother or sister with this fantastic hamper of Rudraksha Rakhi, cakes, and chocolates. 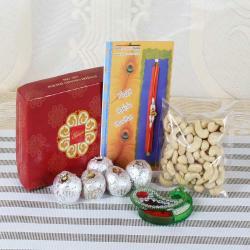 This is a great gift pack that has all necessary things required to celebrate the Raksha Bandhan. You can make this unique combo a part of your celebration and make a difference. Moreover, it boosts the love and affection that exist between you and your dear one. 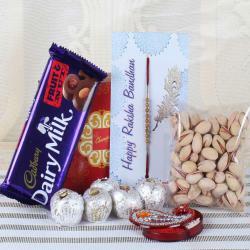 Product Consist: Dry Fruit Cake Sweets (Weight: 200 gms), Rudraksha Wooden Beads Rakhi, Fig Dry Fruit (Weight: 100 gms), Cadbury Dairy Milk Chocolate Pack (Weight: 110 gms) along with Roli Chawal.